Our stylish virtual offices in Tucson, AZ are state-of-the-art and located in the citys central-east side in the National Bank Plaza. We offer fully-furnished temporary-use offices with 24/7 access, high-speed internet, security, full kitchen facilities and cyber-café, with plenty of parking. This is an great Tucson virtual office for technology companies, consultants or any business that serves the area's numerous companies. 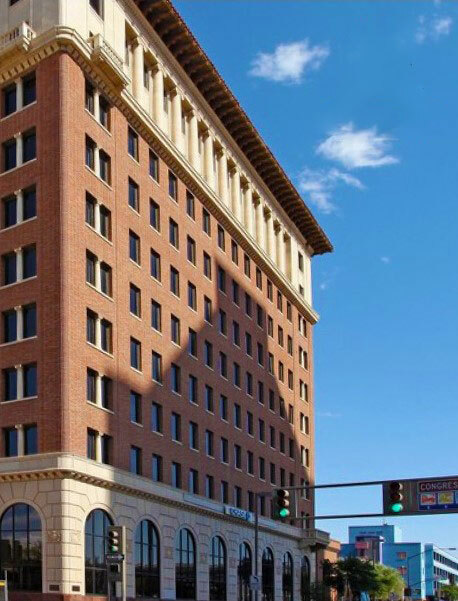 This downtown Tucson virtual office is known for being the first skyscraper and is listed on the National Register of Historic Places. This center is sought after for its virtual offices with on-demand receptionist services, conference rooms, meeting places, and high-speed internet access. Beautifully located, this location is easy when you need to visit to pick up your mail or meet with a client. At times referred to as, "Old Pueblo," Tucson, AZ is located 118 miles southeast of Phoenix and 60 miles north of the Mexican border. With a population of over 548,555, Tucson ranks as the 32nd largest city and 52nd largest metropolitan area in the country. It is the largest city in southern Arizona and the second largest in the state, making it ideal as a premier office space location. The City of Tucson, Pima County, the State of Arizona and the private sector have all made commitments to create a growing, healthy economy with advanced technology industry sectors as the foundation. Raytheon Missile Systems, Texas Instruments, IBM, Intuit Inc., Universal Avionics, Sunquest Information Systems, Sanofi-Aventis, Ventana Medical Systems, Inc. and Bombardier Aerospace all have a significant business presence in Tucson. Tucson is also home to the University of Arizona. If you are looking for a premier location to "set up shop" in Tucson, AZ, let ABCN handle all of your office space needs for you. From start to finish, ABCN is here to help! 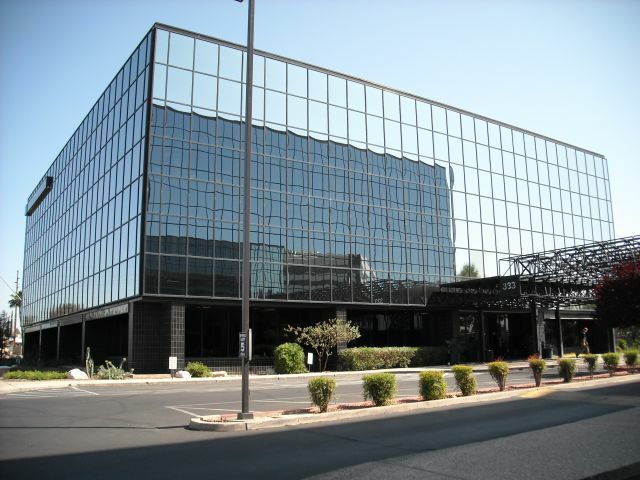 To speak with a representative about office space in Tucson, give us a call at 1(800) 869-9595.